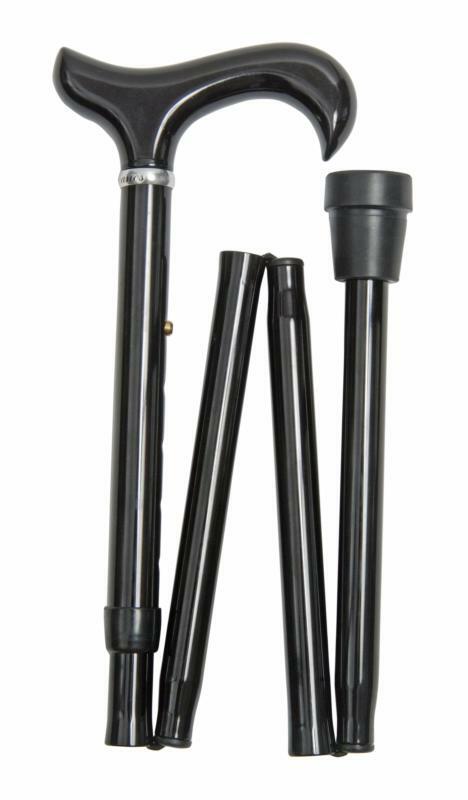 An elegant, attractive folding stick suitable for taller people. The black, hardwood derby handle is offers excellent support to the hand, and may be hooked over the arm when not in use. 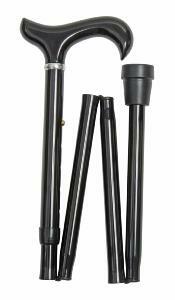 The aluminium shaft is black and is height adjustable from 90-100cm (35.5"-39"). Overall length when folded is 43cm approx (17").